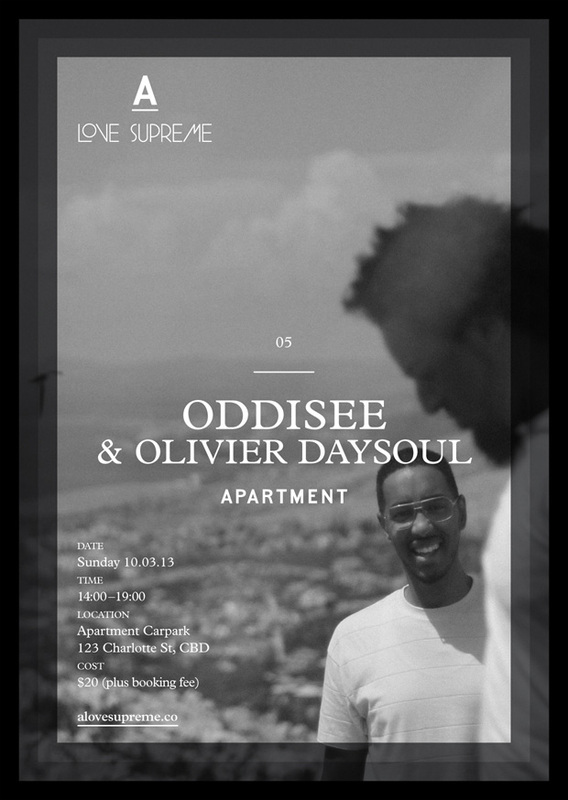 Thanks to the boys from Apartment, rapper and hip hop producer, Oddisee returned to Brisbane with long time collaborator Olivier Daysoul as part of his "People Hear What They See" Australia/New Zealand tour. Held in an intimate parking lot, behind the clothing store itself (Brisbane CBD), we headed over to A Love Supreme, more than just a show, it's the perfect Sunday afternoon hang out, complete with chilled beats, B.Y.O and their trademark chilli dogs then a whole lot of boogieing down while you watch the sunset behind the skyscrapers. The seamless genre-hopping style of Oddisee mesmerized the crowd, while the lush instrumentals and soul stringing vibes got even the most self conscious dancers want to tear it up on the dance floor! 1. What the best thing to do on a day off? I never get days off but I'd come here, A Love Supreme! 2. Last arts event you attended? Holding the man at La Boite and Addition 3 Fundraiser. 3. Favourite place in Brisbane? Bouquiniste; books and coffee. 4. What are you looking foward to? Oddissee tonight! 5. What would you miss about Brisbane if you left? The people, wearing a t-shirt at night and it doesn't smell like piss! 1. Best thing about today? Joined and created an Asian Pop Band. 2. Last arts event you went to? Gold Panda last Sunday! 3. What would you miss about Brisbane? Folio Books and $4 felafel kebabs in West End. 4. What would you change about Brisbane? More funding for arts and culture in the city! Come join the next urban party, A Love Supreme will host, keep your eyes peeled!